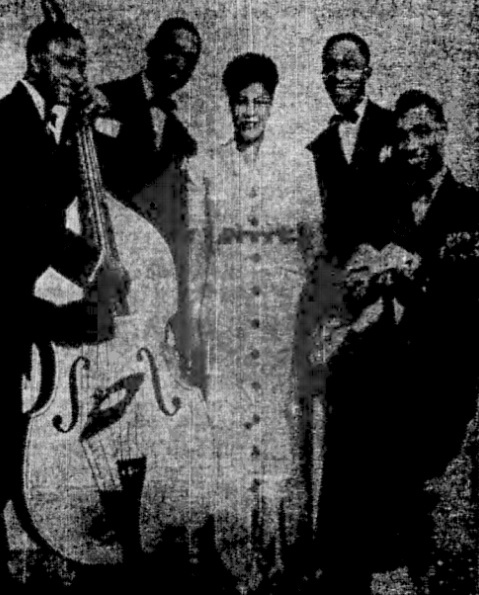 Ella Fitzgerald-Four Keys NBC HitWhen Ella Fitzgerald gave up the "Chick" Webb band, fans wondered what would happen to her. The answer is seen above, for she immediately teamed up with the Four Keys and went sustaining on WJZ and the Blue Network. They clicked immediately and now manage to play a few dates throughout the East in conjunction with their broadcasting.